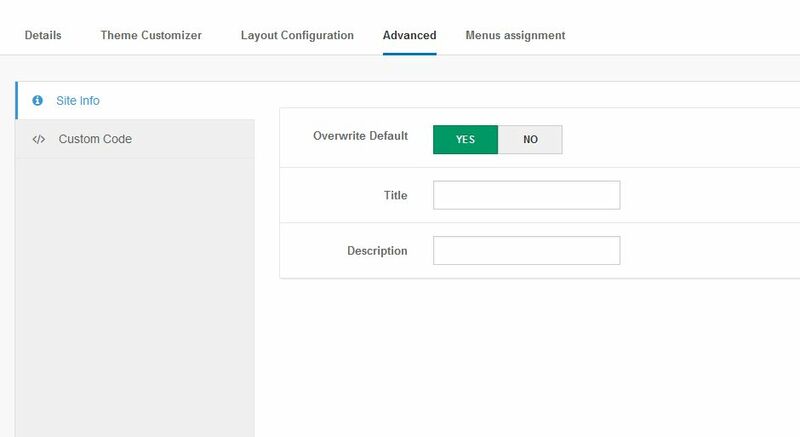 The section will help you with steps to install JA Simpli template - Quickstart and Manual installation. 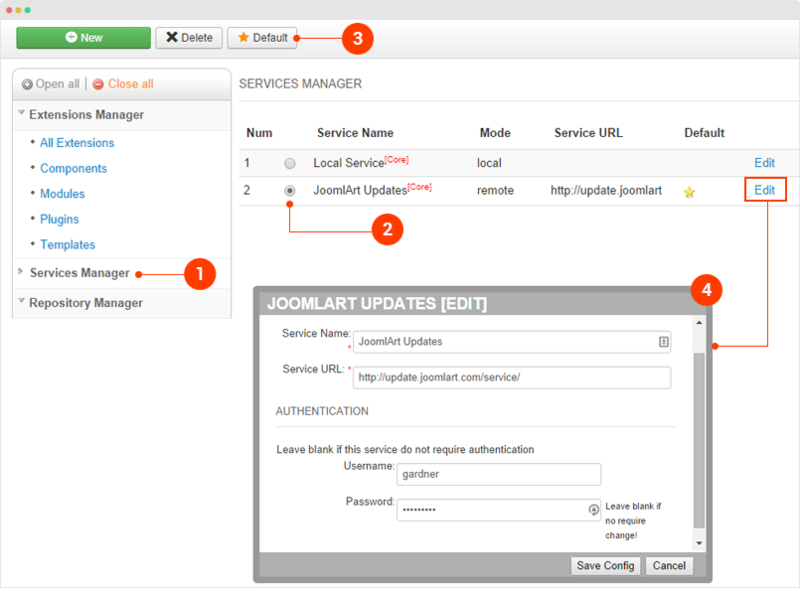 The quickstart allows you to replicate JA Simpli demo to your server. 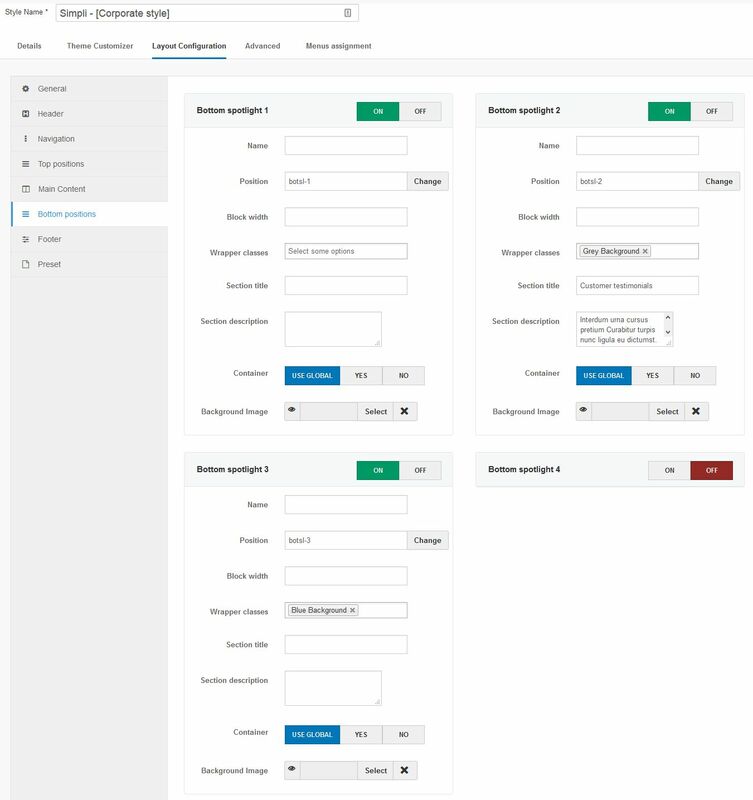 It means, after installing the quickstart, you will have a clone of our demo site on your server. Download JA Simpli quickstart package →, upload to your server and extract it. 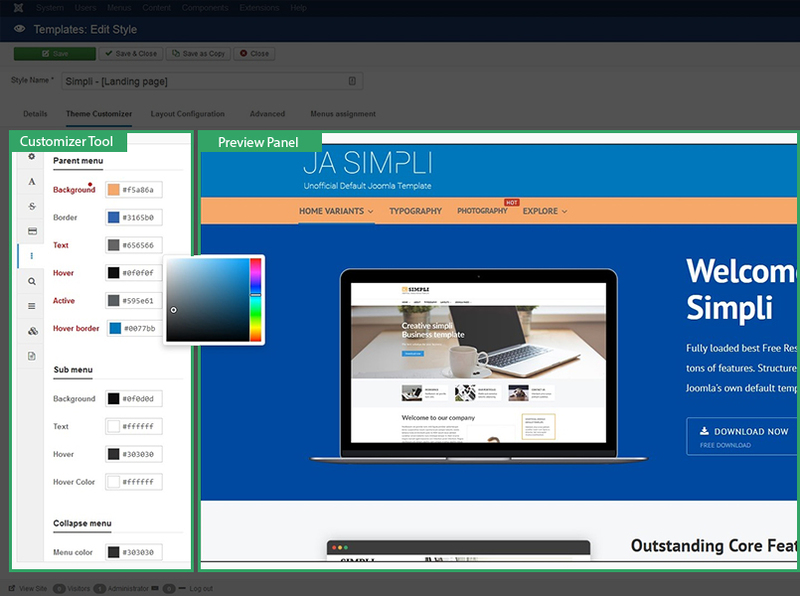 From your back-end setting panel, go to: "Extensions → Manage", browse JA Simpli template installation package then hit the "Upload and Install"
Go to: "Extensions → Template", set JA Simpli template style as your default template style. 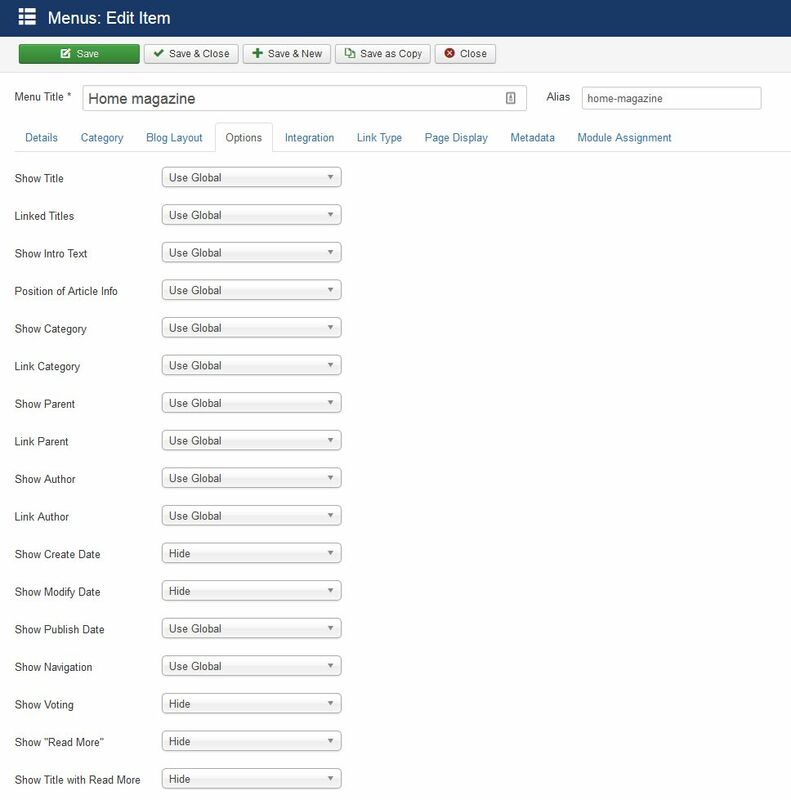 In case you want to apply JA Simpli for specific menu items, open the template style, in the Assignment tab, select the menu items to apply JA Simpli template style. 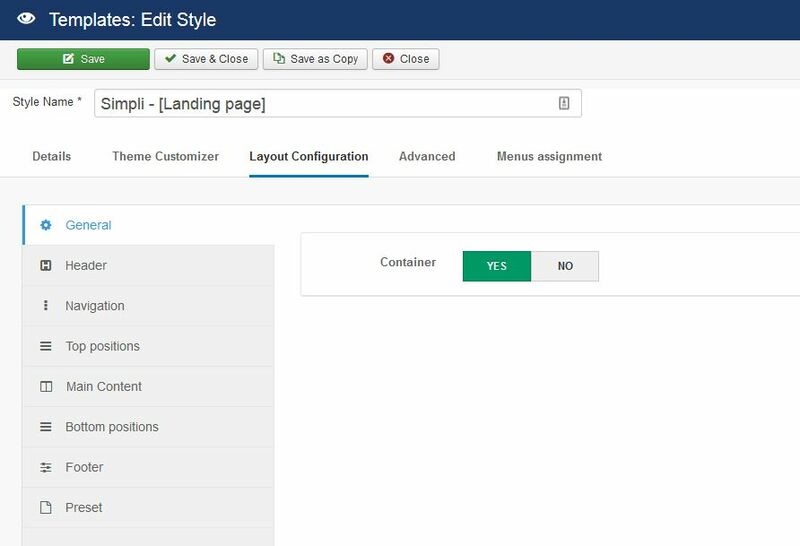 This section is to help you understand the folder structure of JA Simpli template, where to find the files you want. 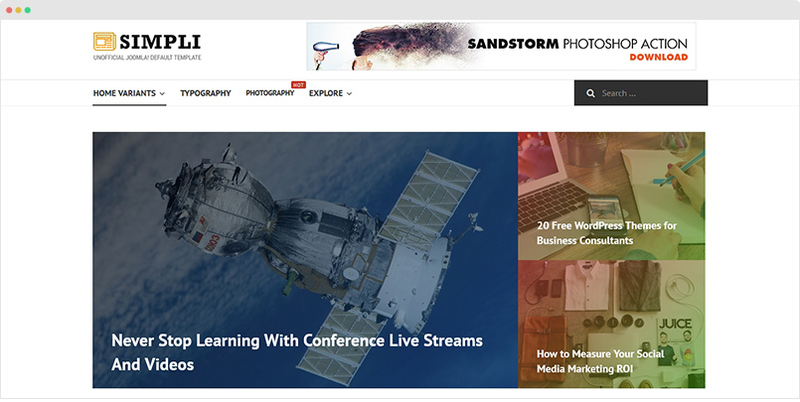 Here are steps to replicate the same Landing page. 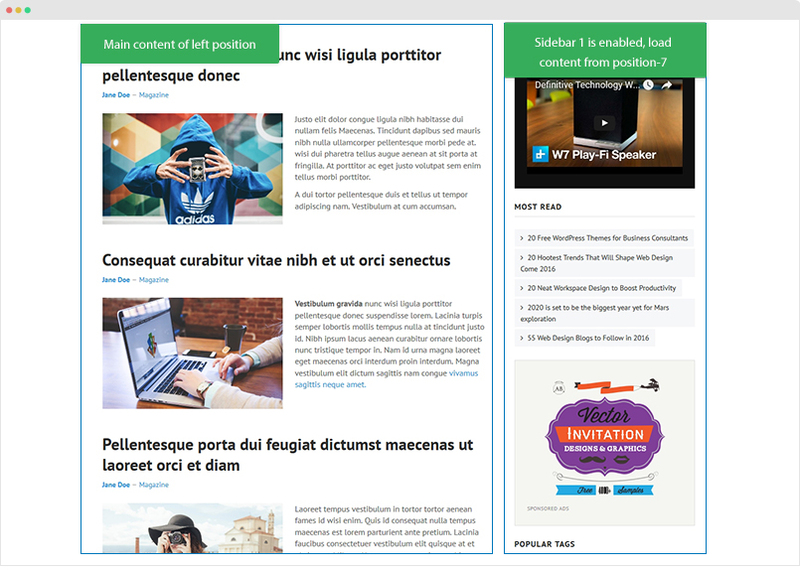 Go to Menu » Main menu, add new menu item, select Articles » Single Article menu type and assign "Simpli - [Landing page]" template style. 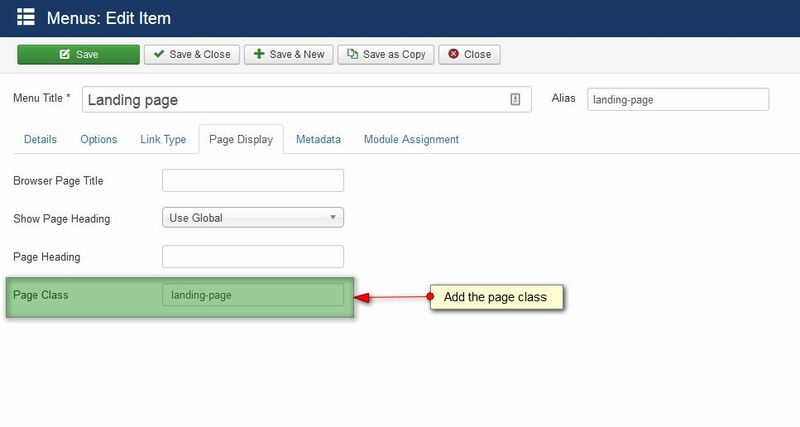 In the Page Display setting panel, please add page class landing-page, check out the setting screenshot. 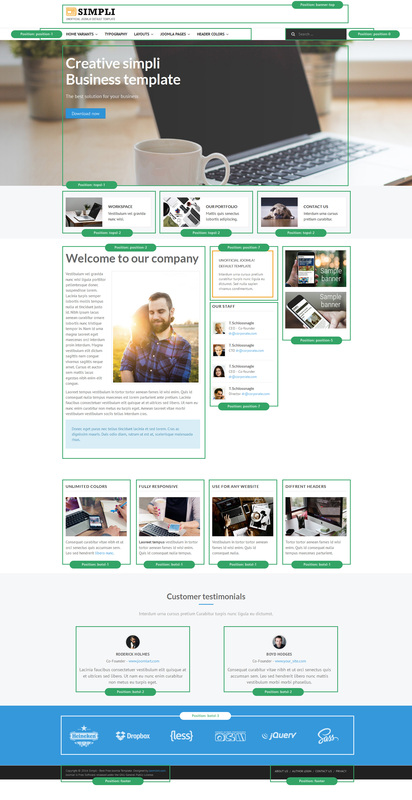 Content of landing page is loaded from modules. Here is the detail configuration of each module. 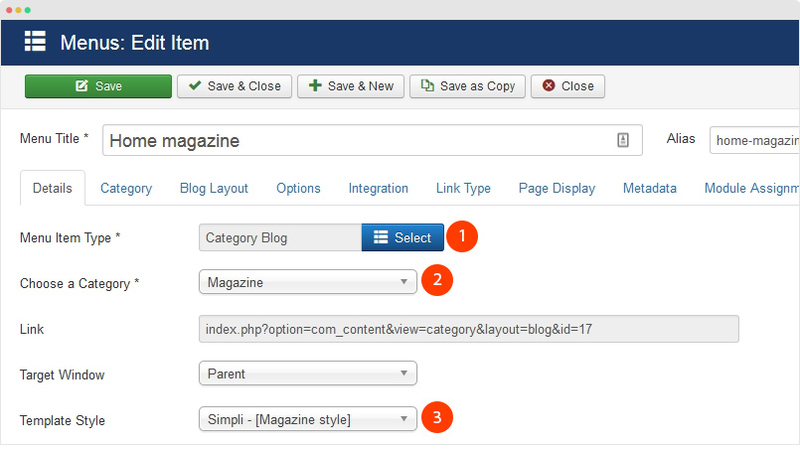 Here are steps to replicate the same coporate page. 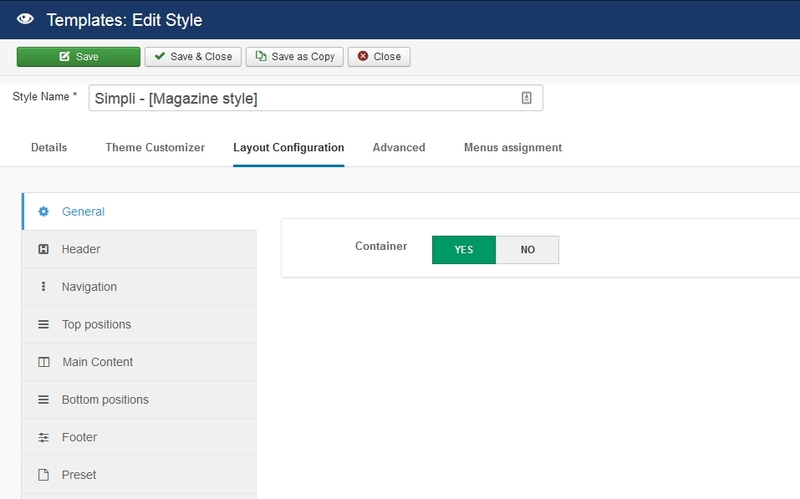 Go to Menu » Main menu, add new menu item, select Articles » Single Article menu type and assign "Simpli - [Corporate style]" template style. 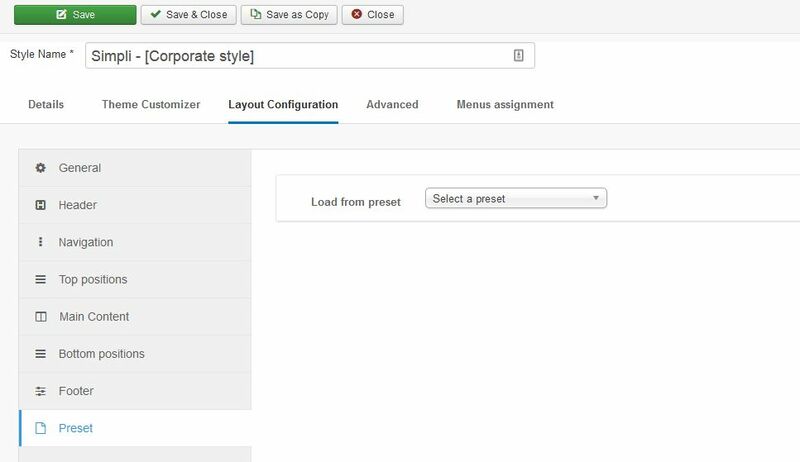 In the Page Display setting panel, please add page class corporate, check out the setting screenshot. 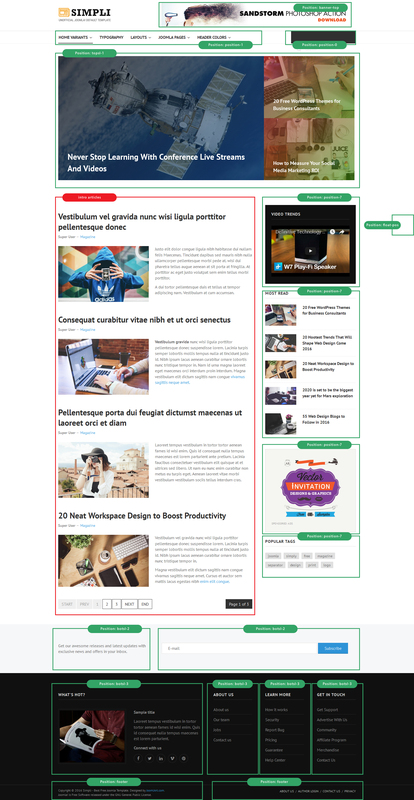 Content of landing page is loaded from modules and an article. Here is the detail configuration of each module. 2. Custom modules in position "topsl-2"
The section includes 3 modules, here is the detail configuration of the modules. 3. Modules on position "position-7"
The section includes 2 modules, here is the detail configuration of the modules. 4. Modules on position "botsl-1"
The section includes 4 modules, here is the detail configuration of the modules. 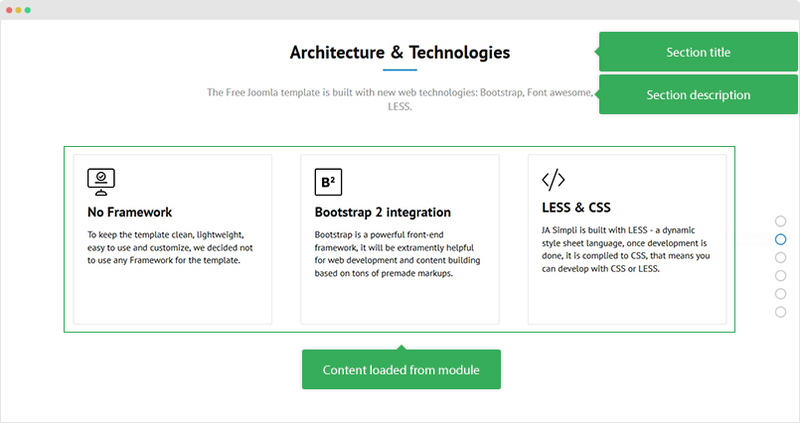 Other modules in the position have same configuration and HTML markup, follow the module configuration to create other modules. 5. 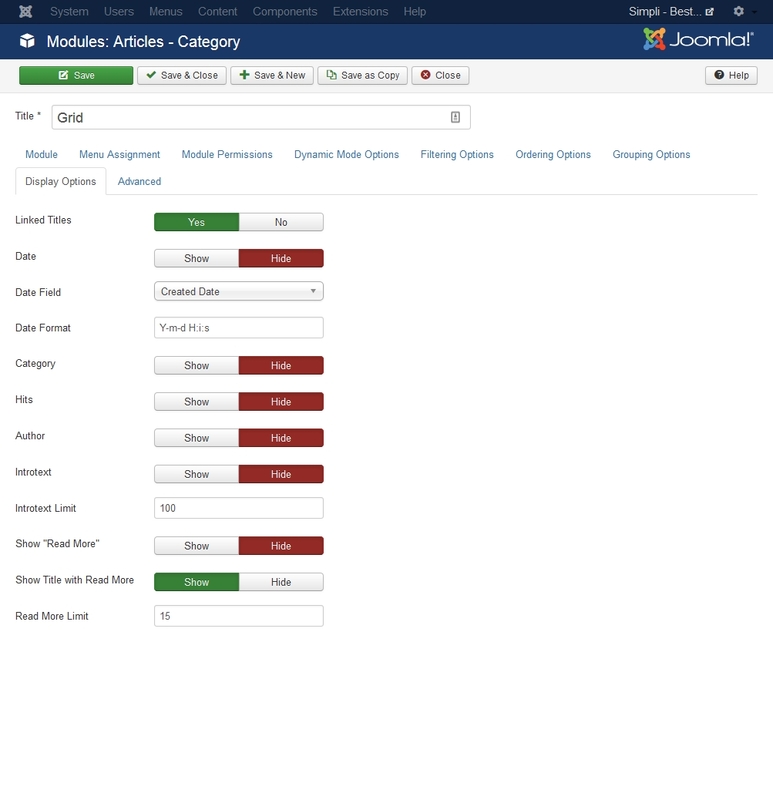 Modules on position "botsl-2"
Other module in the position have same configuration and HTML markup, follow the module configuration to create other modules. 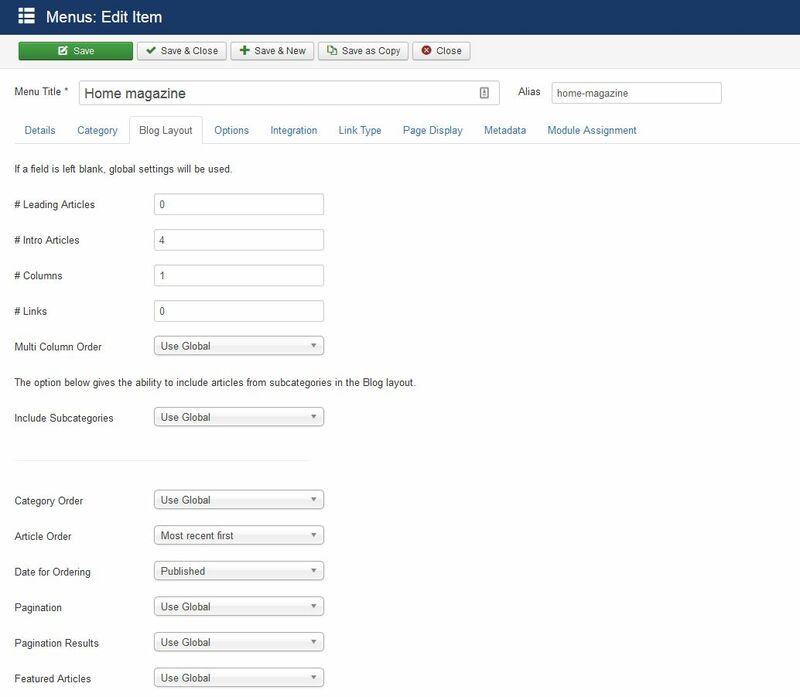 Here are steps to replicate the same Magazine page. 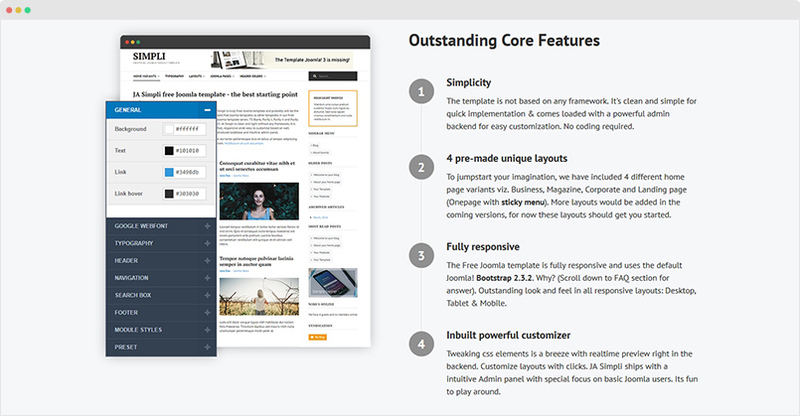 Go to Menu » Main menu, add new menu item, select Articles » Category Blog menu type and assign "Simpli - [Magazine style]" template style. 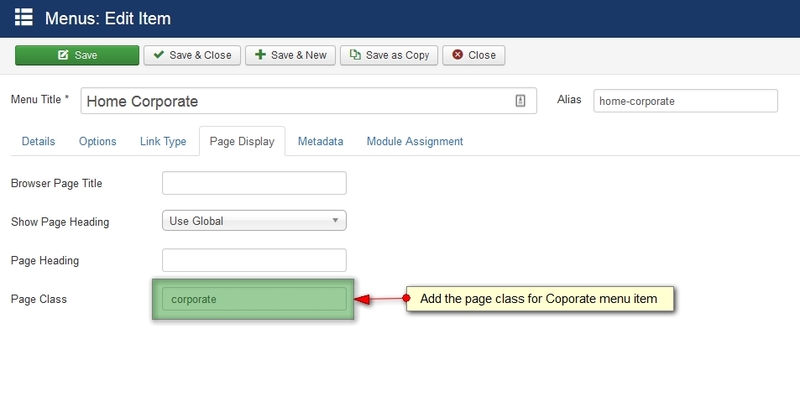 In the Page Display setting panel, please add page class magazine, check out the setting screenshot. 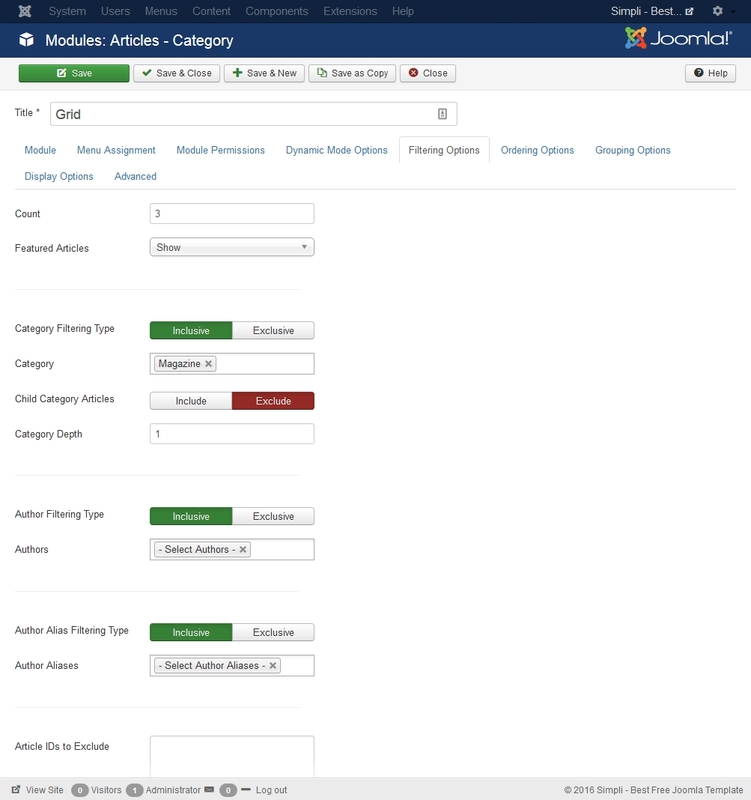 Content of landing page is intro articles list of assigned category and modules assigned to the page. 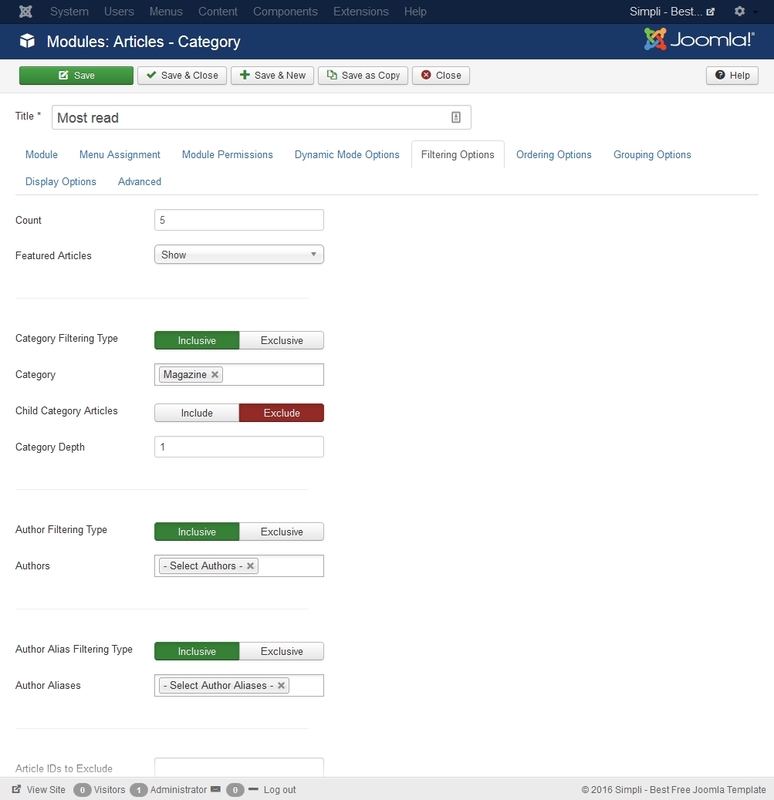 The display of intro articles is configured in the menu item setting page. 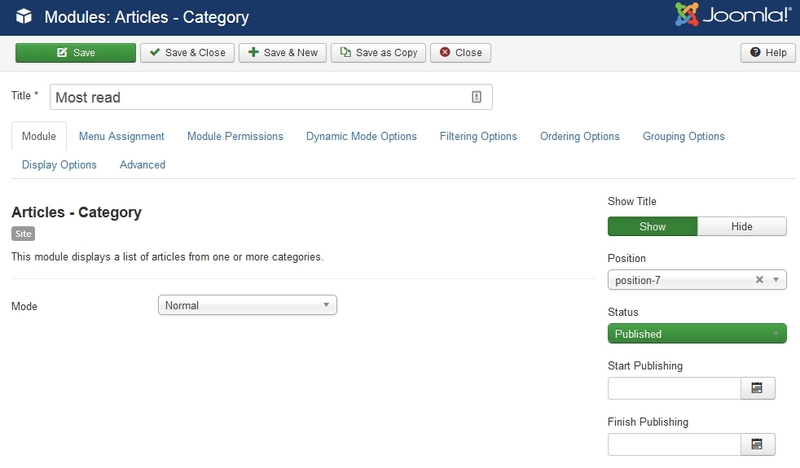 Here is the detail configuration of modules assigned to the page. 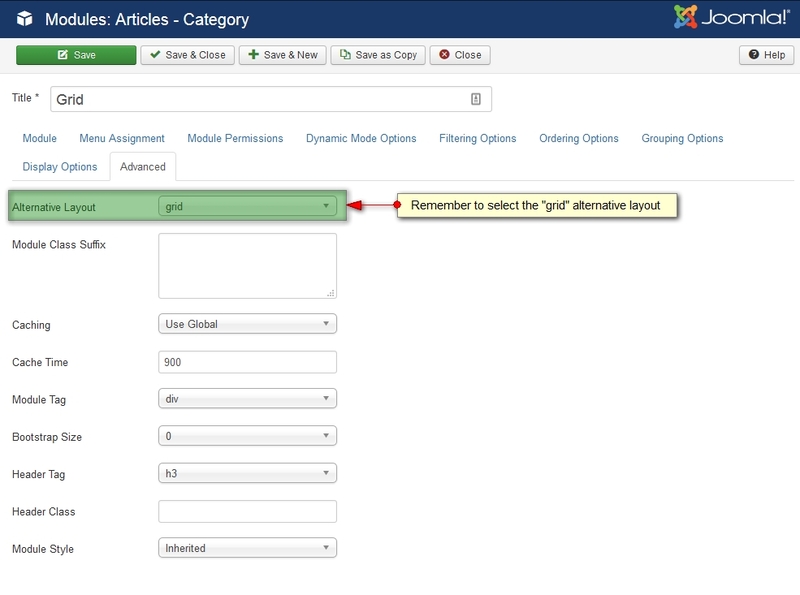 In the Advanced setting panel, please assign the "grid" for the "Alternative Layout" field, check out the setting screenshot. 2. Modules in position "position-7"
There are multiple modules assigned to the "position-7" module position on the Magazine page. 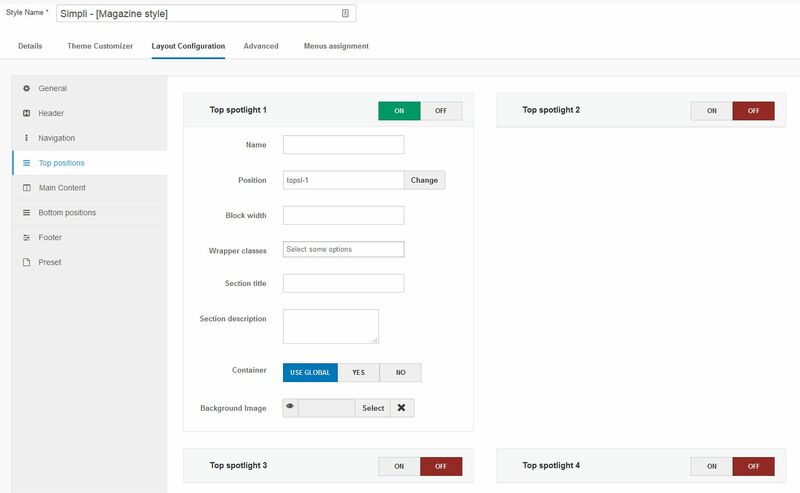 Here is configuration of the modules. There are 2 modules assigned to the "botsl-2" module position, here is configuration of the modules. 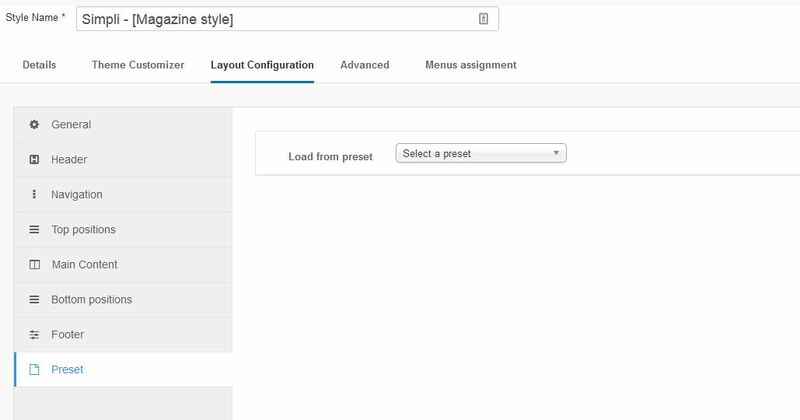 The section is to help you understand the template admin panel with options & settings to customize style and configure layouts. 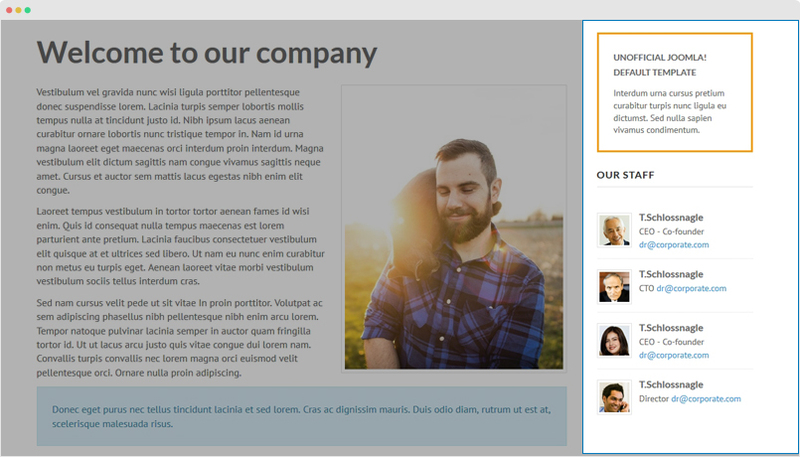 This tool allows you to customize style, font, changing logo ... for specific pages in real time. 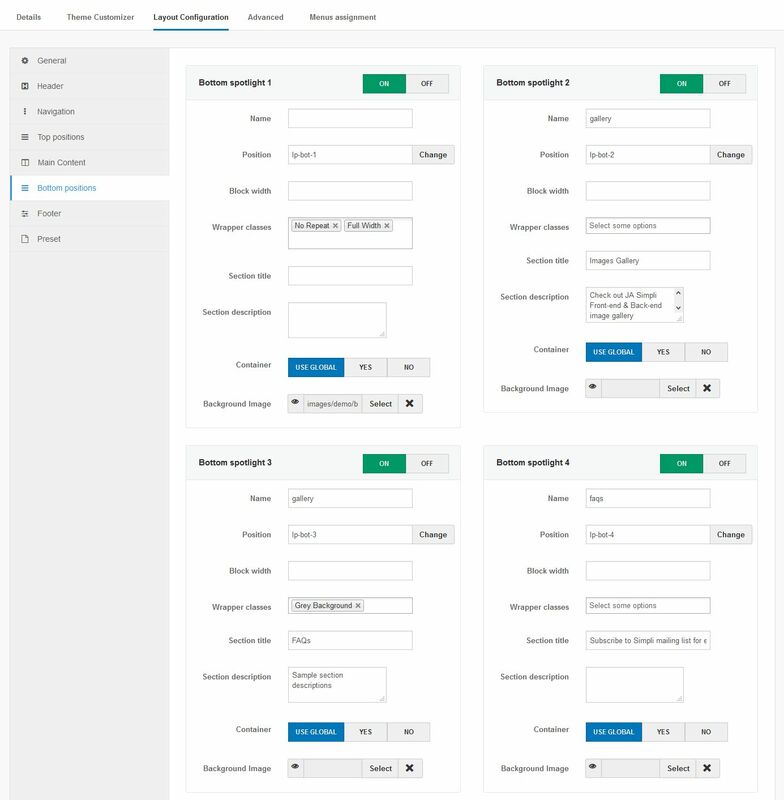 The panel has 2 sections: the customizer tool and the font-end, what you change in the customizer will be previewed in the front-end panel. Settings devided into groups based on its functionality. Once the customization is done, save the changes. 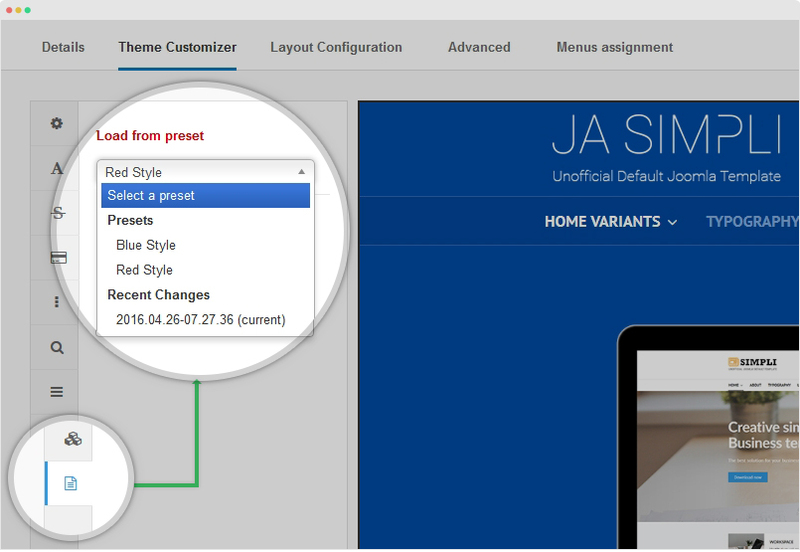 The changes is not saved directly to the customizer, it is saved as a preset. Open the Preset setting panel and select the version you saved. The preset works like a theme, it contains all the changes you did with the customier. Each preset is a file stored in folder: media\ja_simpli\revisions\styles, you can rename the files or delete them in case you don't have intention to use that. 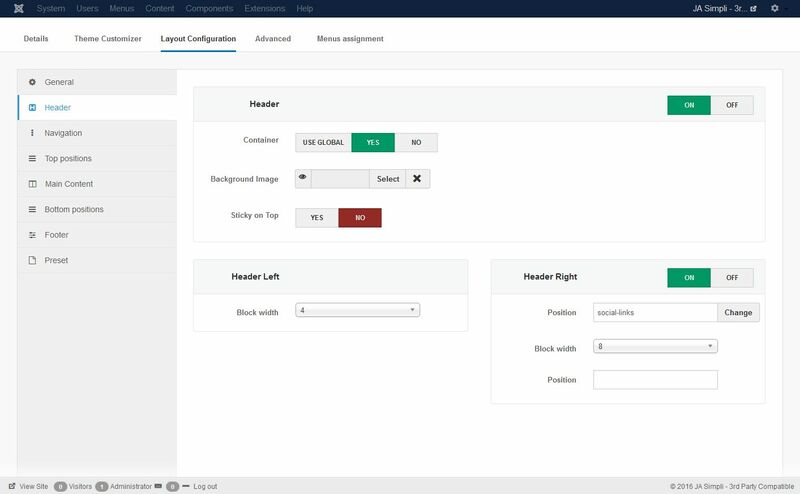 The layout configuration allows you to configure layouts the ways you want. 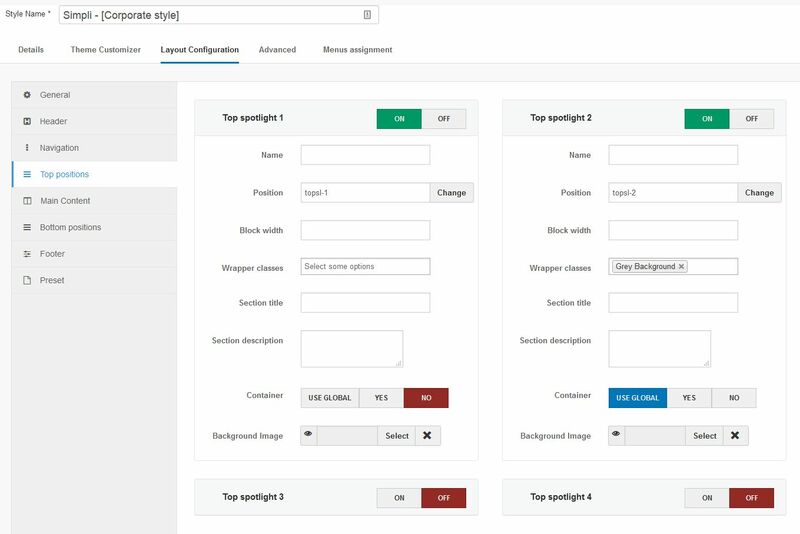 It includes lots of settings and options to manage layout with ease. 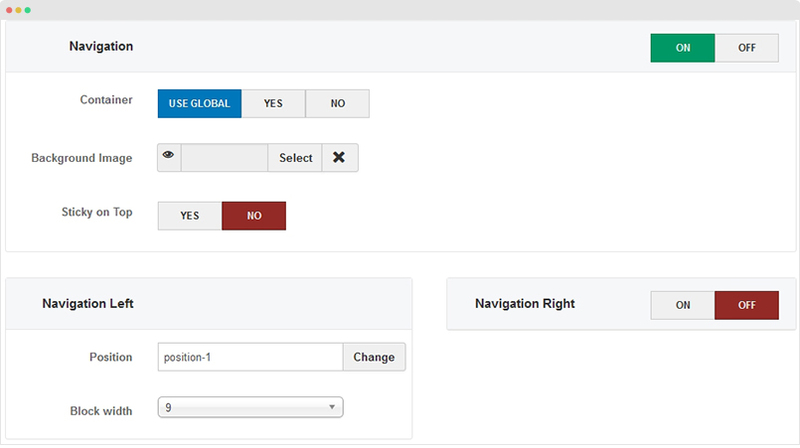 The general setting panel has 1 option only: Container. 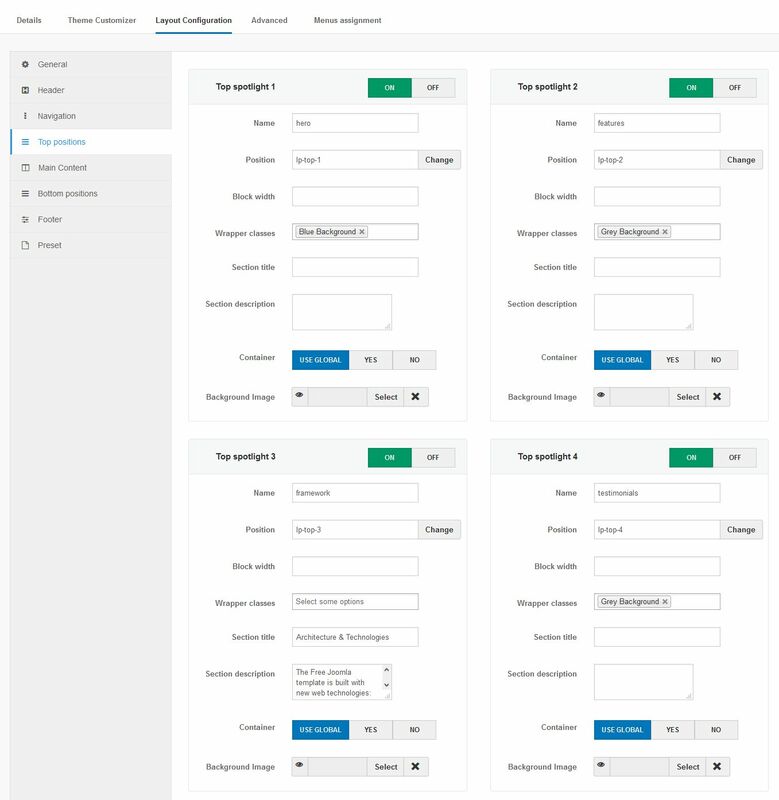 If enable the option, the site is put in class container, if not, it will be full-width layout. 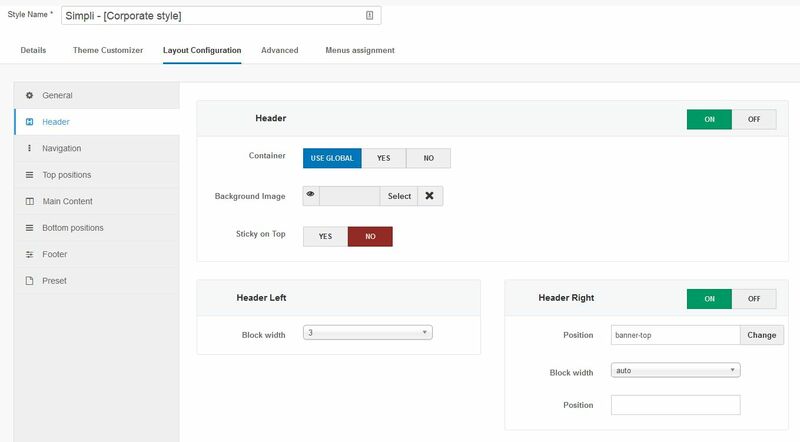 The header configuration panel includes settings to set background image for header section, put it in "container" class or not (this "container" setting will override the setting in General setting), setting to make the header sticky or not and width setting for header blocks: left and right. 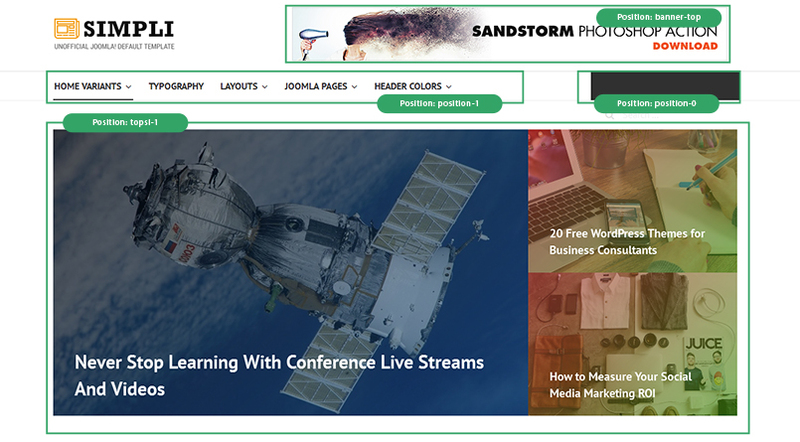 The "Header Left" is the logo and the "Header Right" is a module position where you can put any content. 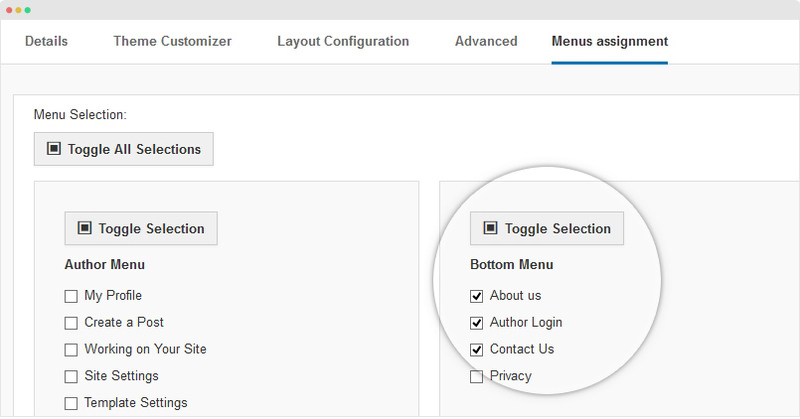 The Navigation configuration panel is to configure the main menu. 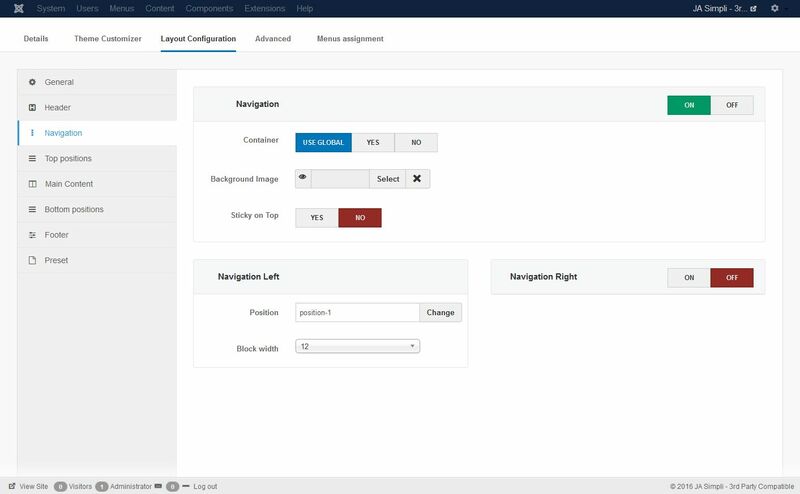 It includes settings to set background image for navigation section, put it in "container" class or not (this "container" setting will override the setting in General setting), setting to make the header sticky or not and width setting for left and right blocks. 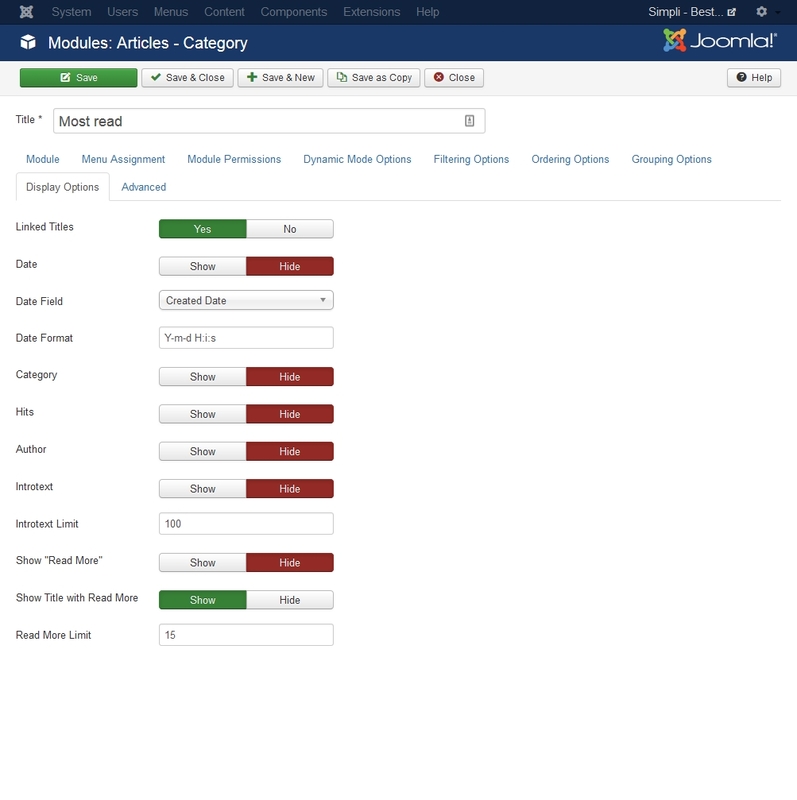 The setting panel includes settings for 4 sections, when enable a section, assign module position that the section load content from. 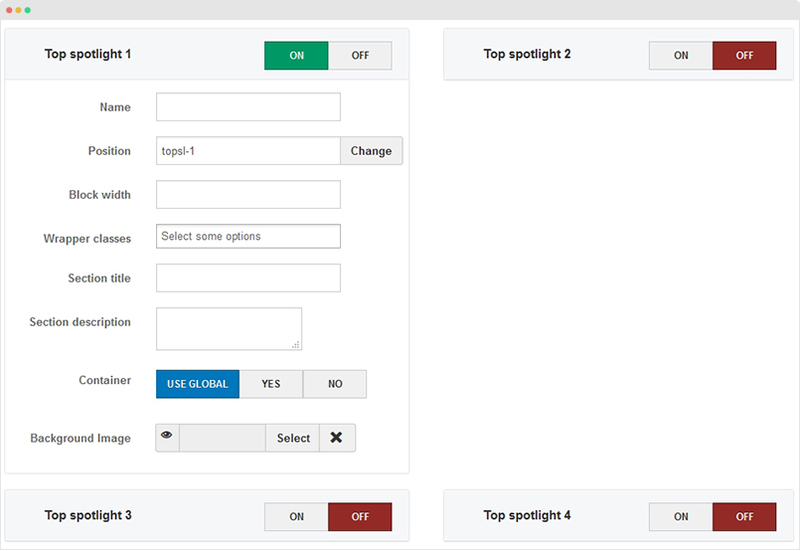 For example, you assign position "lp-top-1" for the "Top spotlight 1" section, it will load all published modules in the "lp-top-1" position. You can add section title and description, width for each section. 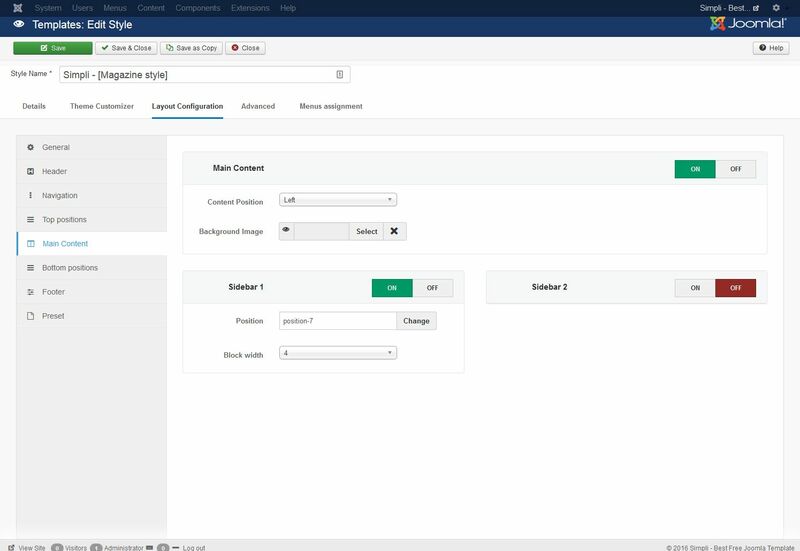 Enable this option if you want the main content to be displayed in the pages using the template style. 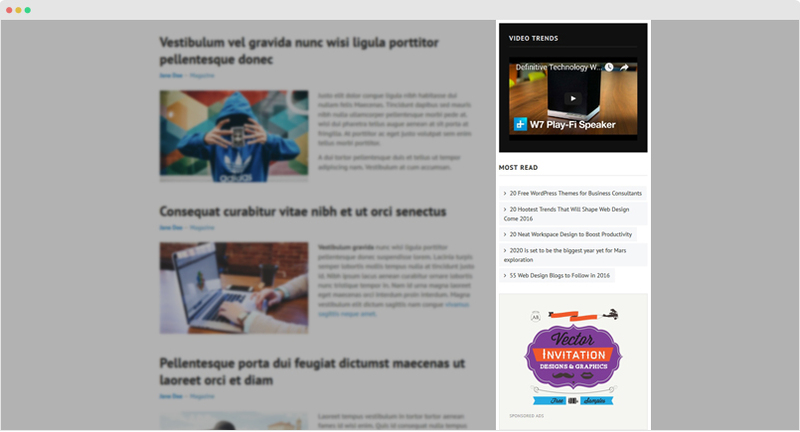 You can also enable or disable the 2 sidebars. 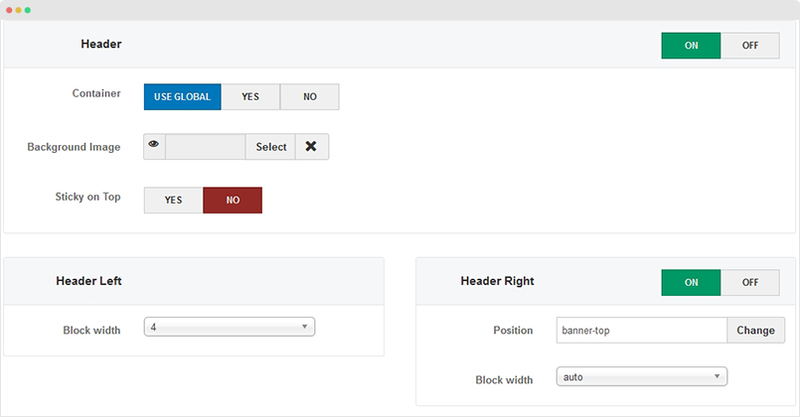 For each sidebar block, assign module position that the content is loaded from and set the width for the sidebar. 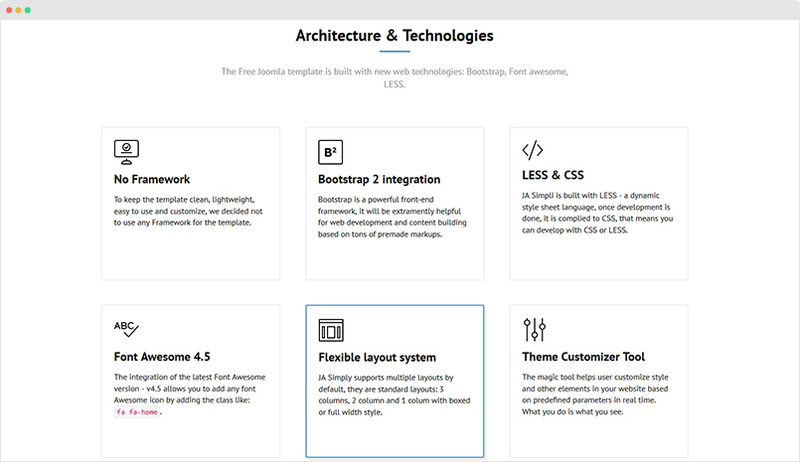 The width of the main content section is based on Bootstrap grid - 12 columns. 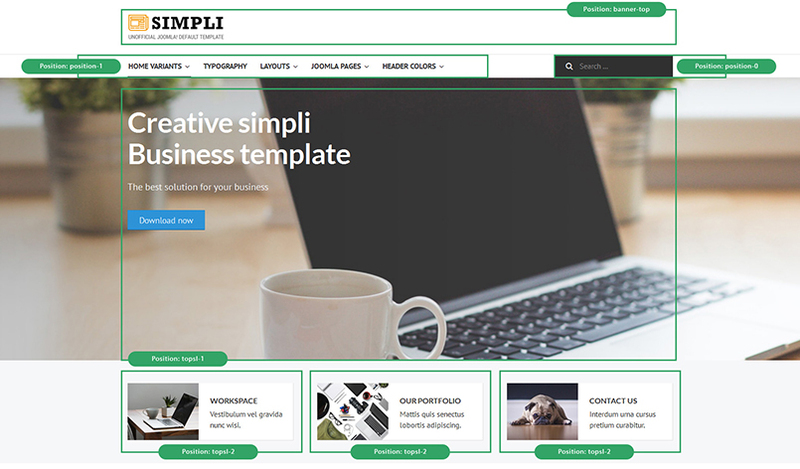 Step 1 - check the new version of JA Simpli template. 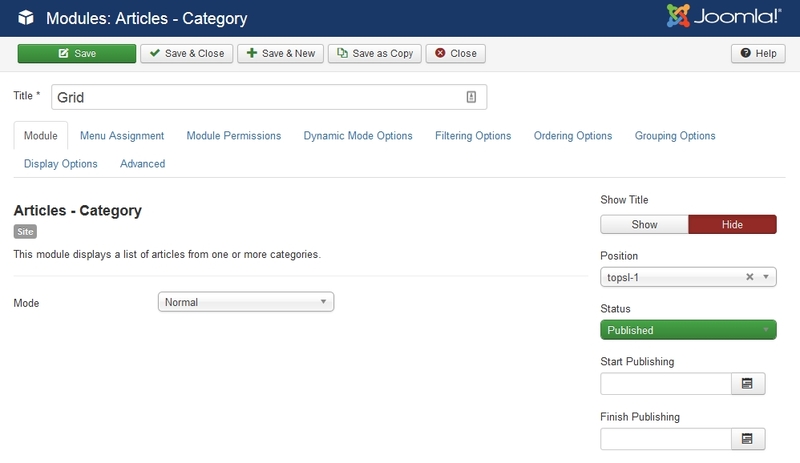 Using the filter to find the JA Simpli template then hit the "Check Update" button. 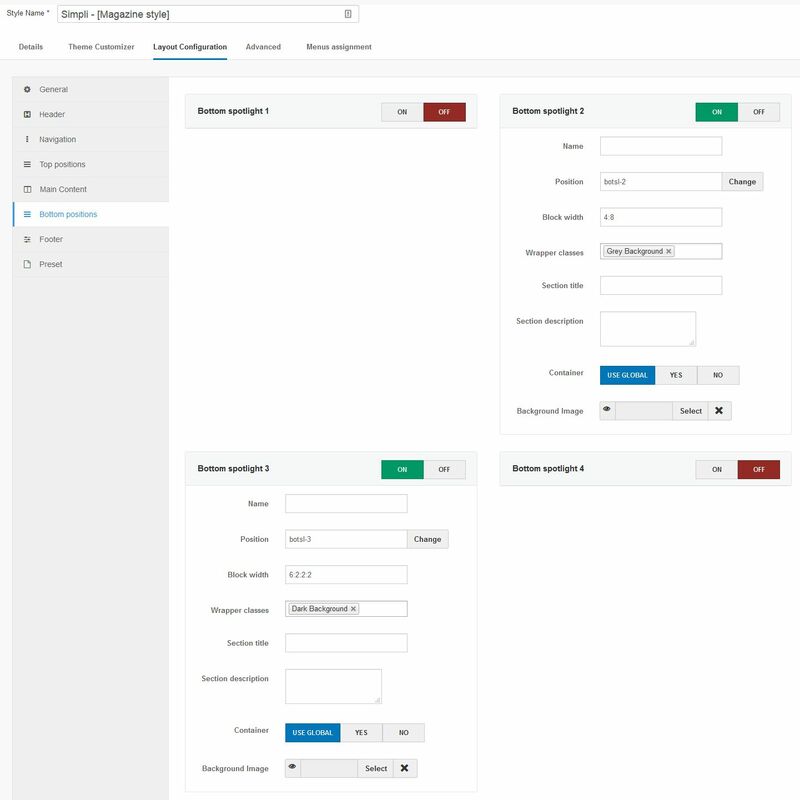 Step 2 - Upgrade JA Simpli template to latest version. You should compare the changes before upgrading. We only pay attention to conflicted files - files that have been modified by both user and developer. When upgrading, the conflicted files will be overridden by files in new version, that means what you customized in the files will be lost. Documentation is a WIP. If you have any specific request or feedback as well as suggestions, feel free to drop us a line in JA Simpli template forum. We'll try to cover them all.